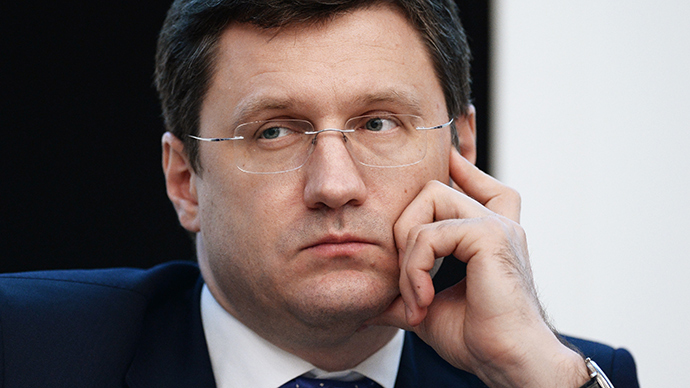 Russia could give Ukraine better terms provided Kiev pays for gas supplied to the Donbass region, said Russian Energy Minister Aleksandr Novak adding that this would open the possibility for new discounts. "We are supplying [East Ukraine – Ed.] under the  contract. Gazprom doesn't ship for free. Bills, invoices are being prepared," Novak said Wednesday quoted by Reuters. He added that no clarification has been made over the further payments of gas supplies to Donbass. Ukraine’s Naftogaz owes Gazprom $2.4 billion for deliveries, including $200 million in penalties, according to the minister's earlier estimates. The so-called ‘winter package’ terms for gas supply to Ukraine expires on March 31, along with a $100 discount per 1,000 cubic meters of gas and a suspension of a take-or-pay agreement that requires payment for gas no matter if Ukraine needs it by that date or not. Novak said Russia is open to extend those concessions even without signing a new deal after the ‘winter package’ expires. "A discount is possible under the contract as well. No separate packages are needed if Ukraine and Russia reach an agreement. Take-or-pay [suspension – Ed.]... is also possible, it depends on the talks between the companies," Novak said. If the gas price in the second quarter is $330 per 1,000 cubic meters or higher, the maximum discount for Kiev would be $100, he said. If the price is lower, the discount will be no greater than 30 percent of the cost. The price for the second quarter may be in the range of $350-360 without discounts, compared $329 in the current quarter. Novak said the gas to the Donetsk and Lugansk regions is supplied at the same price as to the rest of Ukraine. The new gas standoff between Russia and Ukraine started in February when Kiev suspended gas supplies to self-proclaimed republics of Lugansk and Donetsk, allegedly because of pipeline damage. Gazprom then promptly began direct supplies to the region. Kiev said it repaired the damage within hours and restarted gas supplies; however, Naftogaz has refused to pay Gazprom for the gas supplied directly to the eastern regions from February 19. Russia, Ukraine and the European Commission are expected to hold a meeting by the end of March to discuss separation of gas supplies to Ukraine and the Donbass. Gazprom supplies gas to Donbass through the pumping stations of Prokhorovka and Platovo on the border with Russia’s Rostov region. The volume of gas delivered to Donbass is around 12 million cubic meters per day. Before Kiev suspended deliveries to Donbass, the gas was supplied through measuring stations controlled by the Ukrainian authorities. Naftogaz of Ukraine is of the opinion the direct supply of gas to Donbass violates the 2009 contract with Gazprom. Therefore, Kiev says it is not obliged to pay for the gas supplied directly. Gazprom insists the redirection of gas directly to Donbas is in accordance with the contract, and means this gas should be subtracted from the volumes prepaid by Kiev.